A combination of 3 cakes, this stunning first communion cake was perfect! 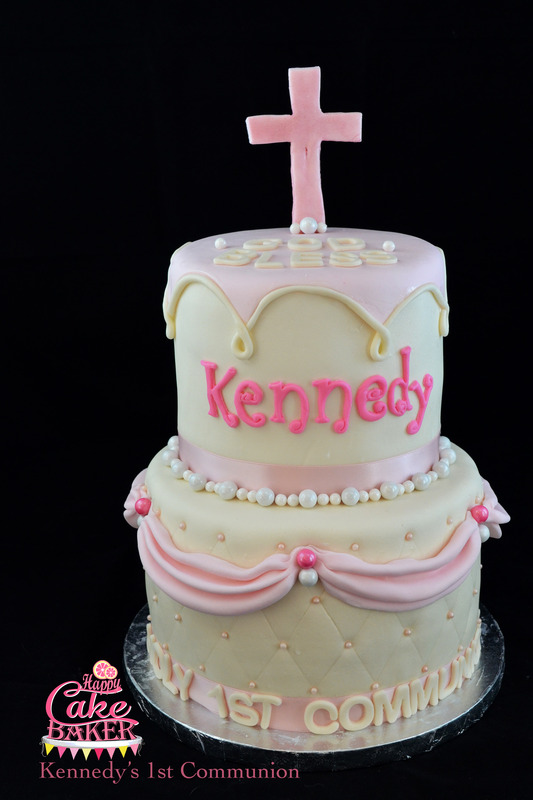 I love that Mom wanted a soft pink and cream colored cake rather than the standard white. It made the cake so elegant! !